When you visit Alonnisos I highly recommend that you stop by the “Women’s Co-op” store(s) as they offer a great selection of locally produced Greek foods and baked goods as well. We always purchase oregano from the Women’s Co-op! The stores also sell varieties of jellies/jams, locally-baked cookies and sweets, and some liqeurs and wines as well. 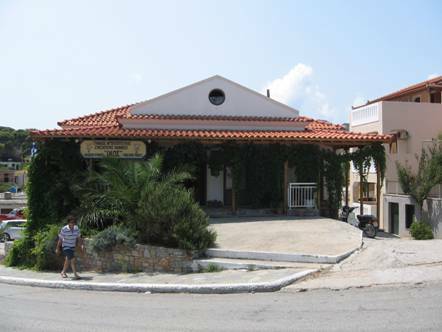 The main store (pictured to your left) is located directly across the street from “The Doors” grocery market and just above Soula’s Fruit and Vegetable Shop. 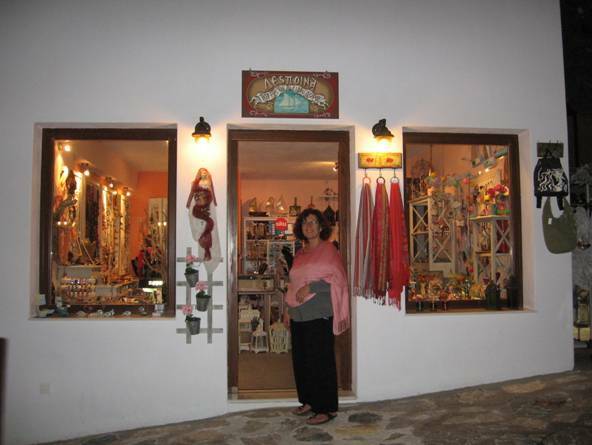 A smaller store is situated near the harbor just up and across the street from the Evaggelia Anagnostou Market on the left side of the road.